Bookkeeping and Accounting: What is the Difference Between the Two? Bookkeeping and accounting are two different things, who knew? To most, the two functions appear to be the same profession. Today, we are breaking down the main differences between bookkeeping and accounting. While there are some similarities between the two, you will come to find they are most definitely two separate functions. 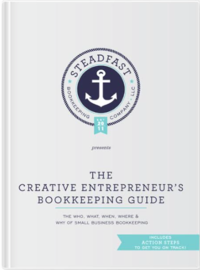 Let’s start with bookkeeping! Last year we talked about ways your small business could give back. Now, you have made a commitment as a business owner to give to your favorite cause, organization, or initiative, congratulations because that is awesome! But now that you are actively giving back as a business, you will want to record and write off your charitable contributions. Why you might ask? First off, that’s good practice, and second, tax breaks! We are sharing seven tips and tricks for recording and deducting charitable donations.